품질은 믿을 수 없다, 너무 잘 만들어진다! 정상에 Sequins는 아주 희소하다 치마는 충분하고 푹신하다. 주의 할 점 -이 드레스는 적당한 차 길이입니다. 나는 크기에 맞게 맞춤형으로 만들어졌으며 내 발목에 맞았습니다. 그래서 결혼식에 사용되었습니다. Quality is unbelievable, its so well made! Sequins on the top are very dainty and skirt is full and fluffy. Only thing to note - this dress is proper tea length, I had it custom made to size and it hit right at my ankles so I had it taken up for my wedding. 멋진 드레스 좋은 품질,하지만 난 크기에 대해 의심 :이 드레스는 내 측정으로 만든 무릎 길이를 가지고 있다고 생각하지만 심지어 내 발 뒤꿈치와 함께이 드레스는 너무 깁니다. 나는 나의 결혼식을위한 나의 주제에 있기 위해 fushia petticoat를 샀다. 그러나 dress lenght와 더불어 나의 petticoat는 눈에 보이지 않는다. 나는 묘사와 정상도 어깨 모양으로서 그것을 조정하기 위해 재단사를보아야한다. stunning dress good quality, but I have doubt about size : this dress suppose to have knees lenght made with my measurements but even with my heels this dress is too long. I bought a fushia petticoat to be in my theme for my wedding but with the dress lenght my petticoat is not visible I have to see a tailor to adjust it as description and the top also shoulder shape . 드레스에 매우 만족합니다. 사진에 나타난대로, 결혼하는 딸에게 선물로 적합합니다. Muy contenta con el vestido, igual como aparece en la foto, es un regalo para mi hija que se casa le quedo perfecto. 훌륭해! 오래 동안, 노치는 완벽합니다. 나는이 드레스가 정말 마음에 든다. Exelente!!! El largo, el entalle es perfecto. Me gustan mucho estos vestidos. 웹 사이트에서 무언가를 주문하는 것이 처음이었습니다. 나의 두 번째 결혼식 동안 나는 상자에서 Liht에게서 나의 드레스를 주문하기로 결정했다. 그리고 나에게 그것은 얼마나 놀람 이었느냐! !! 드레스는 내가 기대했던 것 이상이다. 나는 아름다운 드레스가 가방에서 나오는 것을 보았을 때 내 눈을 믿을 수 없었다. 이틀 후 나는 더 많은 물건을 주문했다. 멋진 경험이었습니다. 우리는 빠르며 우수한 서비스를 제공해주었습니다. 나는 내 친구들에게 LightInTheBox 앱을 다운로드하고 쇼핑을 시작하라고 말했다. 멋진 웨딩 드레스를 가져 주셔서 감사합니다. Rinat Ventura	It was my first time to order something from a web site. For my second wedding I decided to order my dress from Liht in the box and to me what a wonderful surprise it was !!! The dress is everything I expected and more . I couldn’t believe my eyes when I saw the beautiful dress come out of the bag . Two days later I ordered some more items. It was a wonderful experience, you guys we’re fast and gave me excellent service. I told all my friends to download the LightInTheBox app and start shopping. Thank you for a wonderful wedding dress. 아주 아름다운 드레스, 품질도 매우 아름답습니다. 나는 크기 40을 주문했고, 단단한 쪽 위에있다. 나는 매우 만족하고있다 !! zeer mooie jurk, de kwaliteit is ook zeer mooi. heb maat 40 bestelt en is iets aan de krappe kant. ik ben zeer tevreden!! 매우 내 구매에 만족. 크기는 완벽했고 제품은 그림과 같으며 더 좋을 수도 있습니다. Très satisfaite de mon achat. La taille était parfaite et le produit est tel que sur la photo et peut être même mieux. 친애하는 고객 여러분, 우리는 제품의 품질에 만족한다는 것을 읽게 된 것을 기쁘게 생각합니다. 집에서 판매 할 제품을 선택할 때 항상 필수 요소입니다. 우리 회사는 고객에게 고품질의 제품을 제공하기 위해 최선을 다하고 있습니다. 모든 주문이 완료되면 각 제품의 수작업이 원활하게 진행될 수 있도록 오랜 시간이 걸립니다. 우리는 고품질의 제품을 계속 제공 할 것이며 가까운 장래에 귀하를 위해 기꺼이 봉사 할 것입니다. Cher client, nous sommes ravis de lire que vous êtes satisfait de la qualité de nos produits. C'est toujours un élément essentiel lorsque nous sélectionnons des produits à vendre chez nous. Notre entreprise s'est engagée à fournir des produits de haute qualité à nos clients. Une fois que chaque commande est placée, nous prenons un certain temps pour nous assurer que chaque produit possède un bon travail manuel. Nous continuerons à fournir des produits de haute qualité et nous serons heureux de vous servir dans un proche avenir. 이 드레스는 특별한 주문이 아니 었습니다. 사이즈는 16 사이즈로 주문했습니다. 시스템에서 주문을 확인하고 회사에 이메일을 보냈습니다. 나는 드레스를 다시 보내고 새 주문이 사이즈가 될 다른 사이즈를 얻고 싶습니다. 너는 그 크기가 없다면 20 너비 나는 드레스를 돌려 줄 수 없으며이 돈은 특별한 주문이 아니기 때문에 나를 사기 려하지 말아라. This dress is not a special order the dress was order a size 16 wide check your orders in the system also I sent a email to your company I would like to ship the dress back and get another size in which the new order would be a size 20 wide if you dont have that size I cansend the dress back and refund my money please don't try to scam me because this dress was not a special order. 나는 방금이 드레스를 주문했다, 나는 그것이 시간에 도착하기를 정말로 바란다. 충만 함을 위해 아래에 얇은 명주 그물을 주문해야한다는 것을 압니까? 또한 가능하다면 나는 드레스의 실사 사진을보고 싶습니다 !! I have just ordered this dress, I really hope it arrives on time. 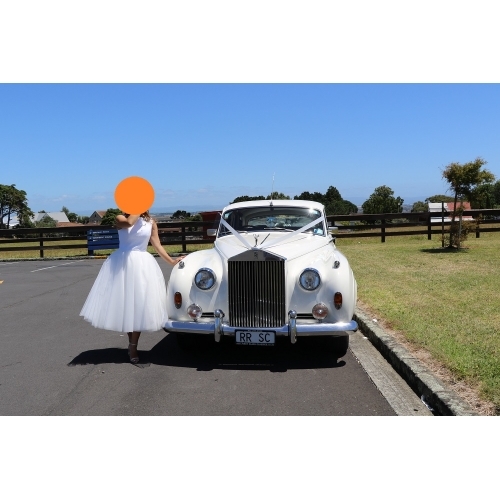 Does anyone know should I order a tulle slip for underneath for fullness? Also Id love to see a real life photo of the dress, if possible!! 사진 있어요? 비율을보고 싶어합니다. 고맙습니다! Do you have a picture? Would love to see the proportions. Thank you!